Nonsensible Shoes: Andrew McCabe "resigns"
FBI Deputy Director Andrew McCabe is stepping down from the FBI, CBS News' Pat Milton has confirmed. According to Milton, a source familiar with the matter confirmed that McCabe was urged to step down. However, sources at the FBI said that this was largely his decision, CBS News' Andres Triay reports. 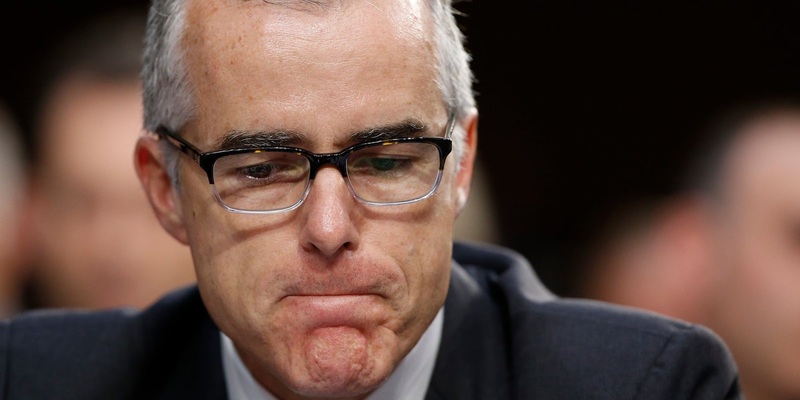 He is currently on what's known as "terminal leave," that is, McCabe had accumulated enough leave time to depart the FBI now. His official retirement is in March. The White House had no comment on the matter, although White House press secretary told reporters Monday that "the president wasn't part of this decision-making process." McCabe was under considerable scrutiny from Republicans, as special counsel Robert Mueller's investigation into Russian election meddling and any ties to Trump associates continued. McCabe took temporary charge of the FBI after President Trump fired FBI Director James Comey earlier this year, and some skeptics viewed McCabe as too close to his former boss. The obvious question is why now? If he was uncomfortable with Trump as president why did he wait until the day before the State of the Union where it is rumored president Trump would reveal the contents of the #ReleaseTheMemo memo? It's clear that there's something more to this than just bad feelings between the president and McCabe.